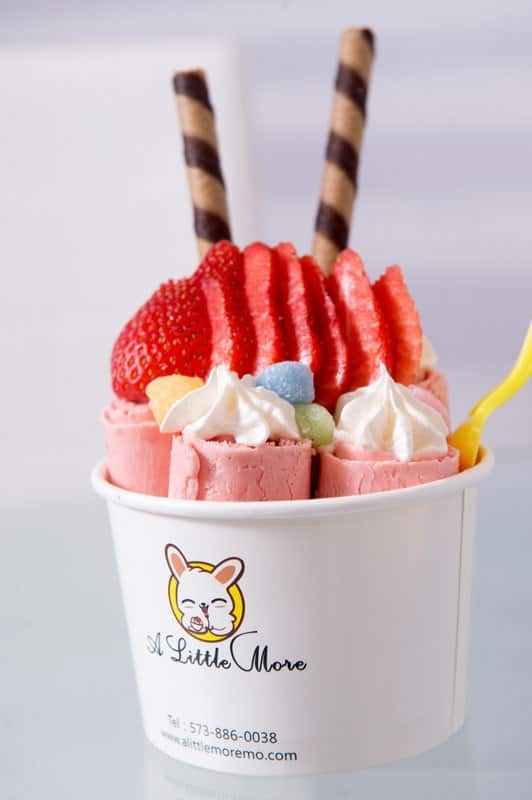 Poke bowls and rolled ice cream are the focus of a new restaurant on Broadway called A Little More, a new Asian cuisine restaurant nestled between Slackers and U.S. Bank. “It’s very DIY-style for a sushi restaurant,” says owner Jay Zheng. Japanese food is becoming increasingly popular in the U.S., Zheng says. “People are looking for Japanese food, and they want it fast.” The first part of this restaurant’s equation and one of its main dish options is a poke bowl, or raw fish salad. It’s a dish that originated in Hawaii, Zheng says. It started gaining popularity in places like New York City in 2011. You choose a base for your poke bowl — rice bowl, burrito, nachos or a salad — then you pick proteins such as salmon, tofu or shrimp, before deciding on vegetables and sauces. There are also proteins such as chicken and steak for customers who do not care for seafood. Rolled ice cream is the second half of the equation. A popular dessert in Southeast Asia, the ice cream roll began popping up across the U.S. in 2015. 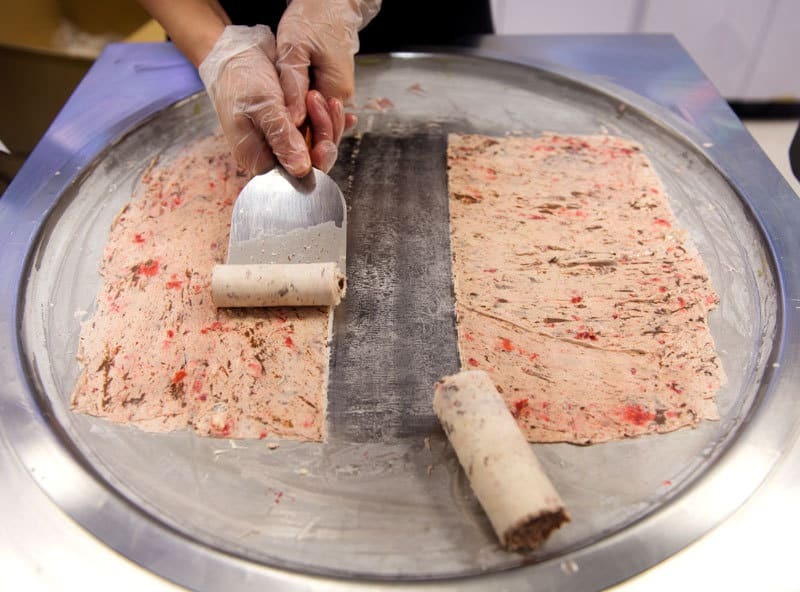 After a friend opened a successful rolled ice cream store in Manhattan, Zheng wanted to try his hand at it. Rolled ice cream starts with a dairy base kept in liquid form. After a customer chooses a flavor, for example strawberry, the chef mixes fresh-cut strawberries into the cream base on an ice grill. Customers can watch the ice cream-making process as it is chopped up, spread on the cold grill and finally scraped into rolls. Zheng offers 16 ice cream flavors, toppings that include Oreos or fresh fruit, and sauces like chocolate syrup. “Everybody has their own tastes; that’s what they like,” he says. The name of the business, A Little More, can be confusing to some customers, Zheng admits. “I tried to combine those two things (poke bowls and rolled ice cream). Combine dinner and dessert. … It’s hard to define both those things combined. We decided to just call it A Little More,” he says.